We use high grade raw material and sophisticated machines in the production of Plastic Handle Hedge Shear to ensure high quality and durability. With an objective to fulfill the demands of our clients, we are engaged in manufacturing a wide array of Grass Shear. 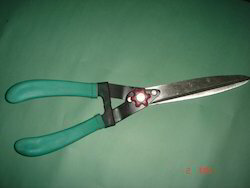 We offer our clients with hedge shears with plastic handles at highly competitive prices. We manufacture these as per the industrial standards and then stringently test these for quality before supplying to the clients. We use high grade raw material and sophisticated machines in the production to ensure high quality and durability. 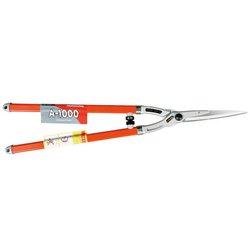 Blade Length: 8" / 9"
Handle Length: 9" / 10"
We are well-known across the market for our high quality of Hedge Shear. These products are high in strength and seamless in finish.